A message from Tim Cook, Apple’s CEO. Steve’s passing one year ago today was a sad and difficult time for all of us. I hope that today everyone will reﬂect on his extraordinary life and the many ways he made the world a better place. One of the greatest gifts Steve gave to the world is Apple. No company has ever inspired such creativity or set such high standards for itself. 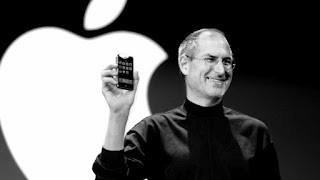 Our values originated from Steve and his spirit will forever be the foundation of Apple. We share the great privilege and responsibility of carrying his legacy into the future. I’m incredibly proud of the work we are doing, delivering products that our customers love and dreaming up new ones that will delight them down the road. It’s a wonderful tribute to Steve’s memory and everything he stood for.